The family vocation is evident since the end of the 19th century, when the great-grandfather of the founders of Vago SpA sets up the business with the firm for the dyeing of fabrics. Tintoria Filati Bustese (Yarn Dye-works of Busto) of Cesare and Giuseppe Vago was born. The two brothers decide to go into the dyeing of yarns, so as not to become competitors of the other branches of the family. At the time revolutionary, pressurized surge tanks for reel dyeing are installed to replace dyeing in vats and cabinets. The range of products is enriched to provide an all-round assistance. As production increased, so does the size of the plant and the workforce, which reaches over 70 employees, and new markets are conquered. 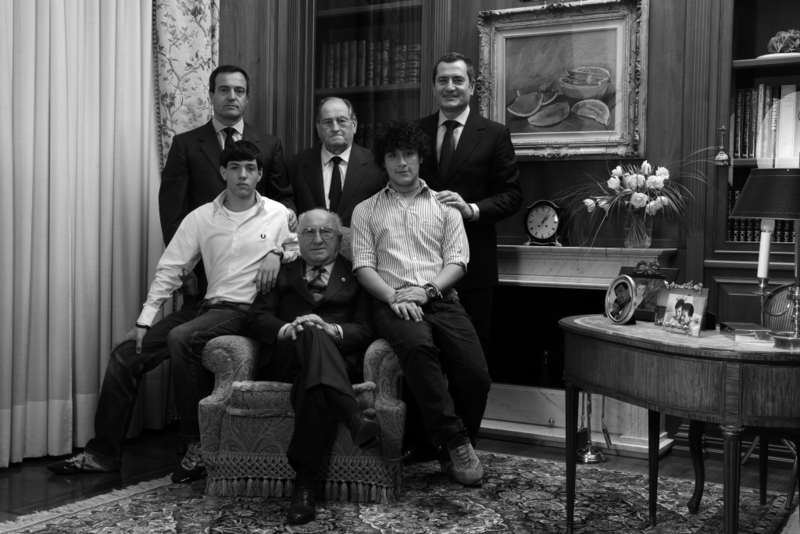 Arrive in the company the sons of one of the founders, Marino and Augusto. 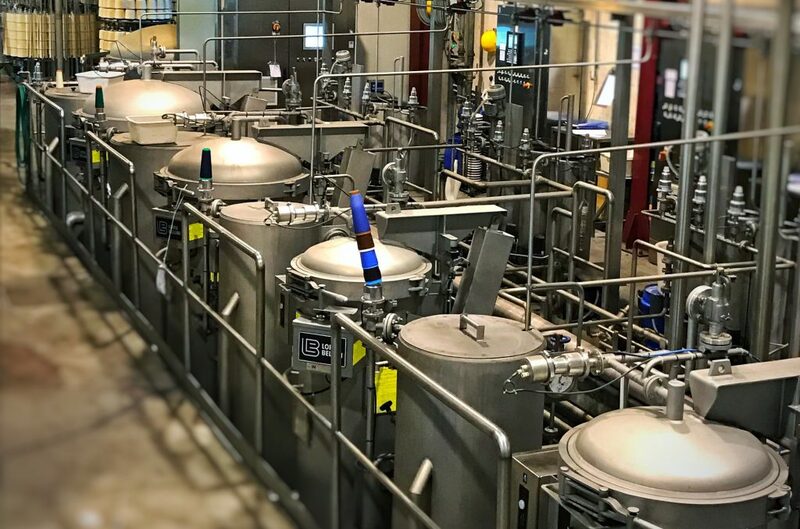 The strengthening of the financial standing of the company changes and the company takes on its current name VAGO S.p.A. To guarantee the constant growth of productivity and quality levels is started an automation of the production processes. 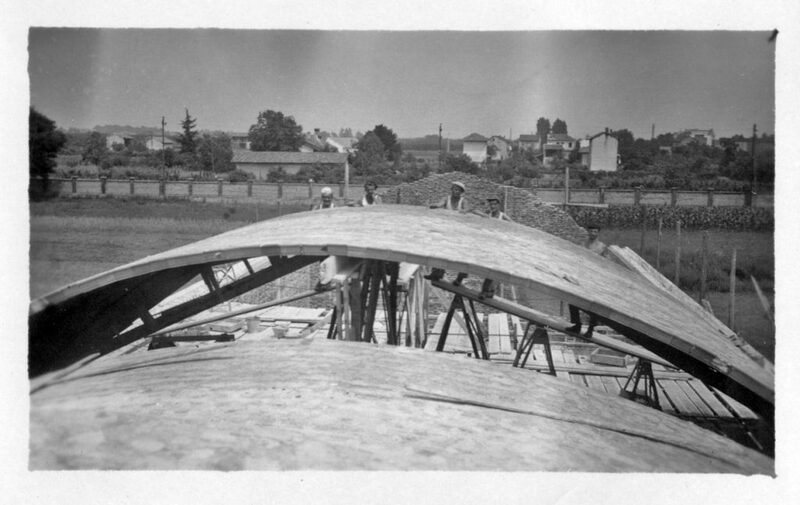 The extension of the buildings is completed with the creation of a new mercerization hall and a new company lay-out is arranged. The purchase of a new and complete product line of dyeing machines in reels with variable capacity enrich the moistens offer. The production can range from 2 to 700 kg. Our development is an ongoing process with special attention given to both customer care and the small detailed improvements to the production processes. Quality of our products is certificated by the overcome of severe standards. What is measured is a fact, what is not measured is an opinion. For the protection of the end consumer, since 1995 our products comply the strict eco-toxicological parameters Oekotex Standard 100 Class 1 for articles for newborn babies. 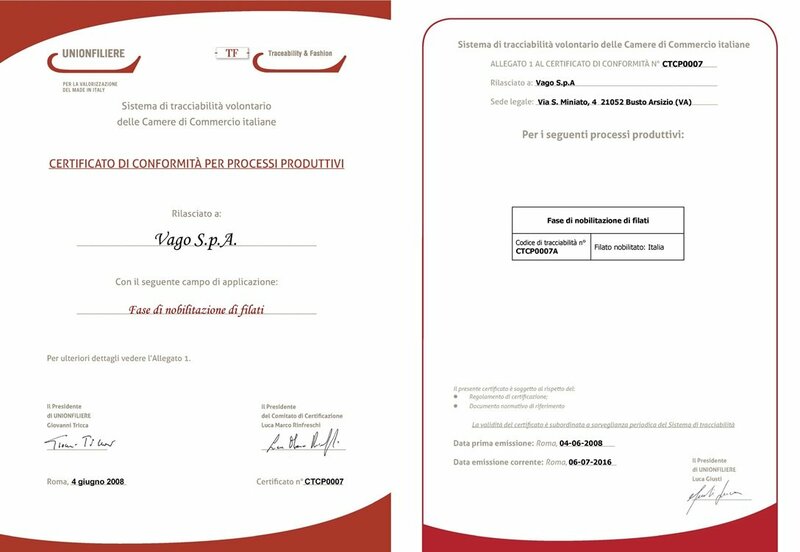 This certification is attested by Centro Tessile Cotoniero ed Abbigliamento S.p.A. 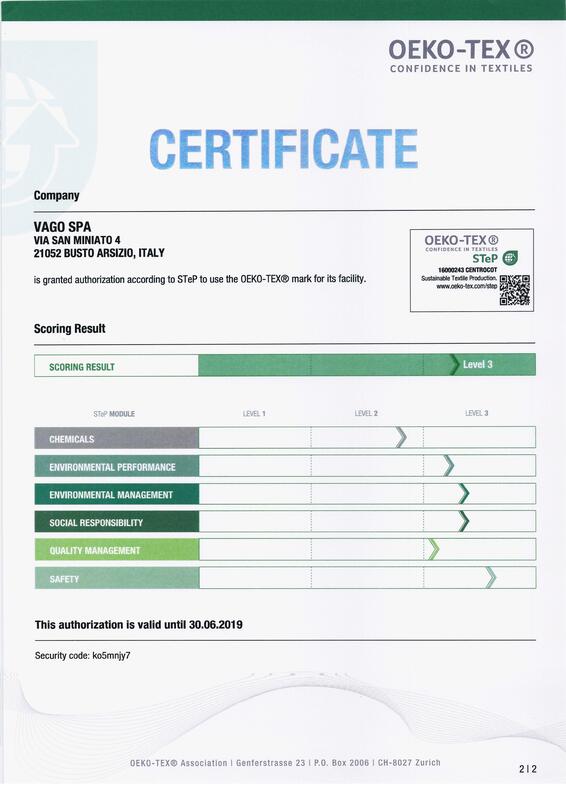 The certification of our Quality and Environment Management System, in accordance to the regulations UNI EN ISO 9001, testifies the care and attention we give our products and to our respect for the environment. The certification of our Quality and Environment Management System, in accordance to the regulations UNI EN ISO 14001, testifies the care and attention we give our products and to our respect for the environment. 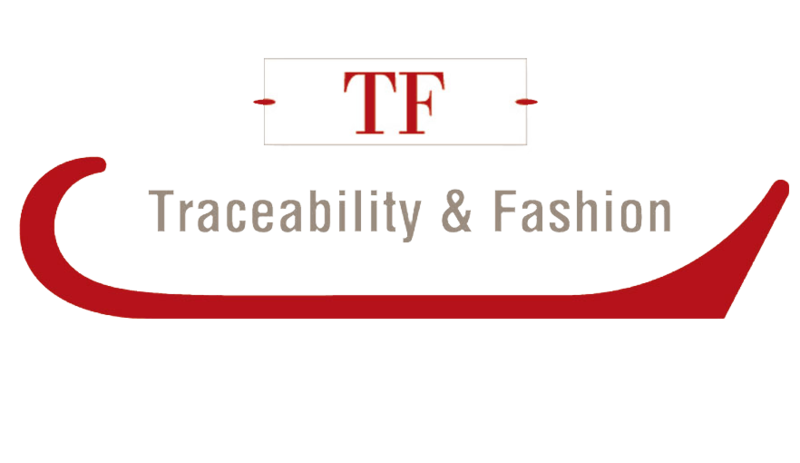 We are able to ensure that all our products are traceable and to guarantee that are completely Made in Italy. 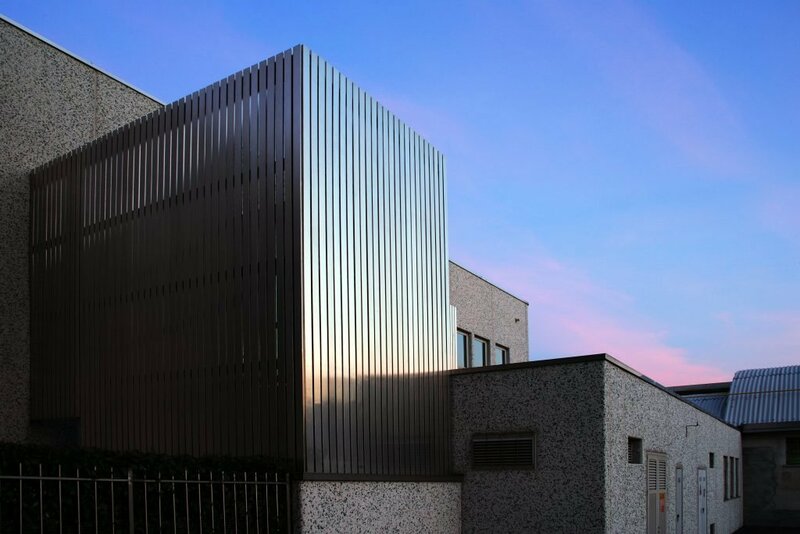 This is possible thanks to methods elaborated by the Centro Tessile Cotoniero ed Abbigliamento (Cotton Textile and Clothing Centre) of Busto Arsizio. In our production, we use special dyes compatible with organic cotton, which is a natural textile characterized by a better sustainability and low environmental impact. Step is a certification based on several levels which attest a low environmental textile production. It evaluates production, environmental performances, safety on work, social responsibility, quality management, chemical products. We demand our suppliers the best quality and full transparency. 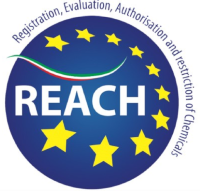 Reach certify the quality of the products imported in Europe. It is a combined system of registration, evaluation and licensed of chemical substances for guarantee a higher level of protection for human health and for the environment.